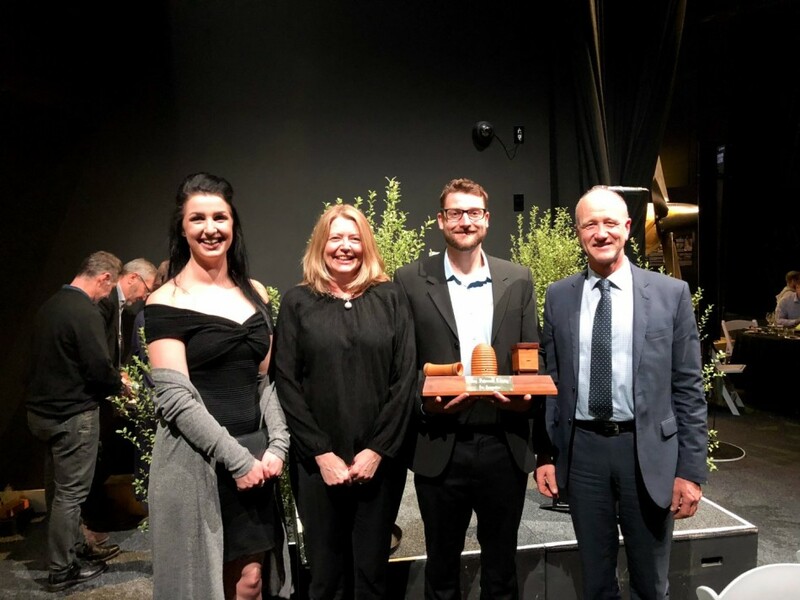 We are thrilled to share that Hill Laboratories was announced the winner of the Roy Paterson Trophy for 2018 at the recent Apiculture New Zealand Conference held in Blenheim. The Roy Paterson Trophy is awarded to the person or company recognised as having the most innovative idea, invention or new piece of technology which has been designed to benefit beekeepers. The winning piece of technology was our digital Honey Blending Tool, a web-based app which helps those with large inventories blend individual honeys to form a target blend. The tool maximises the value of large honey inventories and ensures blends hit all target parameters. The tool is easy to use - inventory of drums are added and target blend selected - which then allows the tool to search through the inventory and select the optimal set of drums for the batch. It is highly configurable, fast, runs off a cloud based system and results are secure. The app has been developed by a team of scientists and data analysts lead by Dr Kyle Devey. Market Sector Manager for Food and Bioanalytical Mark Jones says the award was a welcome surprise, and recognition of the hard work that has gone on behind the scenes. Image: Kellee Henton (HL Key Account Manager - Honey), Karin Kos (CEO Api NZ), Bruce Wills (Chair ApiNZ) and Mark Jones (HL Market Sector Manager - Food and Bio) holding the Roy Patterson Trophy.